Want a smile that radiates beauty? 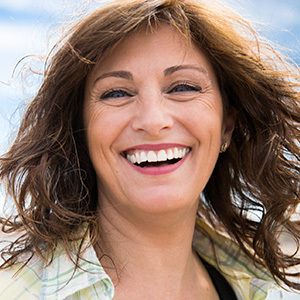 Cosmetic dentistry can give you the beautiful smile you want. Cosmetic dentistry refers to any dental work that improves the appearance of a person's teeth. Gerald and Debora Clark, DDS, which is located in Midlothian, TX, offers a full range of cosmetic dentistry services to the patients they serve. Dr. Gerald Clark and Dr. Debora Clark are some of the finest dentists in Midlothian, TX. The following information will help you determine which type of cosmetic dentistry procedure is right for you. Dental Bridges. You don't have to go through life with a missing tooth. If you have a missing tooth, a fixed dental bridge will allow you to smile with confidence. A dental bridge is a dental restoration used to replace one or more missing teeth. A dental bridge is made of two crowns and a false tooth in the middle. A fixed dental bridge can only be removed by your dental provider because it's attached to your mouth. Dental Crowns. A dental crown is a protective covering that is placed over badly decayed, fractured and weakened teeth. Crowns are also used to improve the color and shape of teeth. Crowns can be made out of metal alloys, porcelain-fused-to-metal, and porcelain. They're cemented onto your teeth, and can only be removed by your dentist. Dental crowns are incredibly strong and will restore full function of your damaged teeth. Dental Implants. Dental implants are used to replace missing teeth. Dental implants are small anchors that are inserted into the jawbone. They provide a strong foundation for replacement teeth. The advantages of dental implants include improved appearance, improved speech, easier eating, durability, and improved comfort. Dental implants have made such a difference in the lives of millions of people. Porcelain Veneers. Porcelain veneers can give you a celebrity smile instantly. 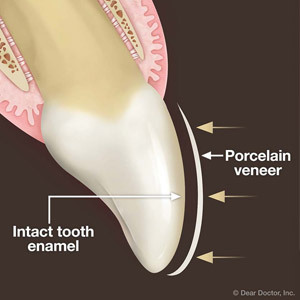 Veneers are thin, custom-made ceramic shells, which are bonded to the front of the teeth. They're used to restore teeth that are discolored, crooked, chipped, or cracked. It is also possible to fix gapped teeth through the use of veneers. 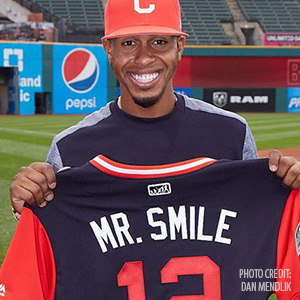 A perfect smile can create a great impression. It will also work wonders for your confidence. Teeth Whitening. Dispensed by dentists, take-home whitening kits involve filling a mouth tray with bleaching gel. The tray is worn for a couple of hours per day for one or two weeks. Take-home whitening kits provide fantastic results in one or two weeks of use. Ready for a smile makeover? Start your journey today! Call Drs. Gerald and Debora Clark, at (972) 775-2377 today to schedule a dental consultation in Midlothian, TX. Cosmetic dentistry can improve your smile, boost your self-esteem, and change your life for the better. We want you to have a wonderful life!